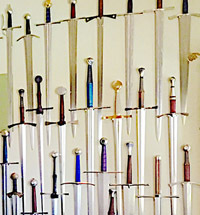 The Ryujin Custom Katana Gallery features close up pics of the various components I have personally hand picked so that you can design your own perfect sword. But it also goes into some additional detail on each component - providing further information on the various bits and pieces, the meanings of the tsubas and basically just makes it easier than ever before to see up close and personal what goes in to each design possibility and is the next best thing to actually holding it in your hands. 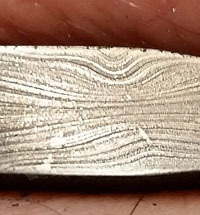 The blades of the Ryujin Custom Katana are first hand forged from billets of T10 tool steel. 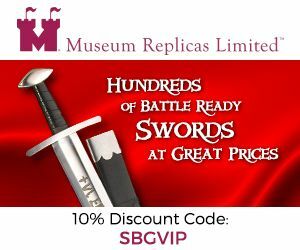 Then the spine of the sword is covered in clay, exposing the edge of the blade so after heating it up and quenching it in oil, the edge changes its structure and cools much faster than the thicker spine. This process - called differentially hardening, results in a harder edge and softer, shock absorbent spine. 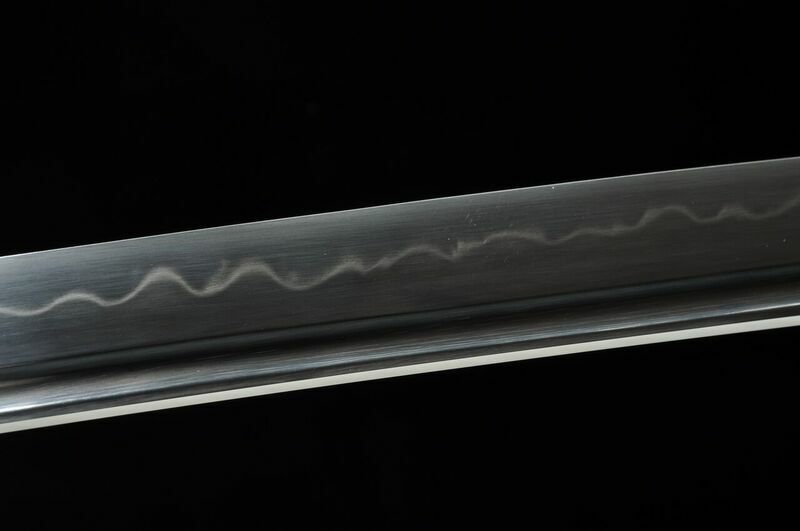 It also gives the blade its classically curved katana geometry and the area where the hard and softer steel meets is called the hamon - or temper line. Below are some close up studio pics of the hamon under optimal lighting. 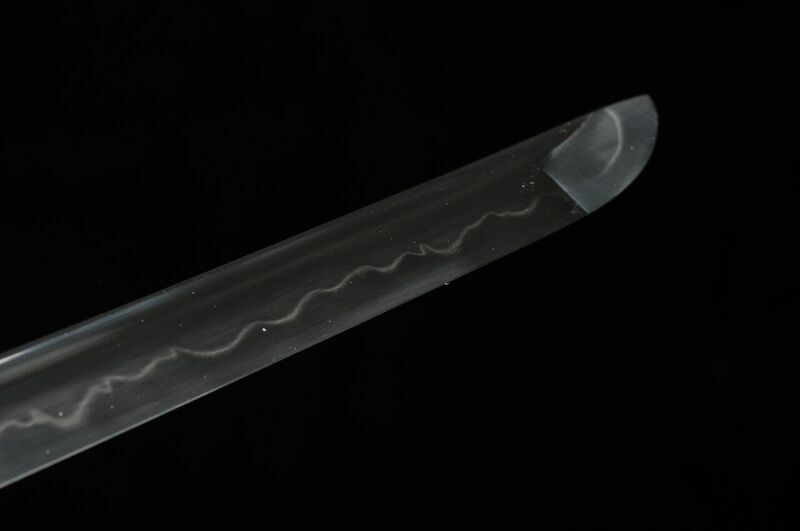 As always, a real hamon will usually be quite subtle and will fade in and out of view depending on the angle it is viewed from and light source - making it a true piece of sword art. 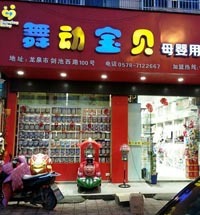 Simply click on the images to bring up a full size image for close inspection and more information.. 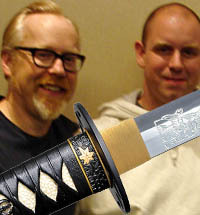 Your first step in creating your Ryujin custom katana is to select if you want a Bo-hi (fuller) or not. Selecting a bo-hi will lighten the blade by around 2oz and change the balance slightly more towards the handle. 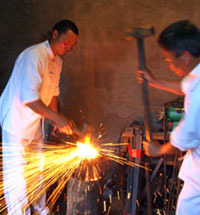 It also produces a "Tachi-Kaze" (sword wind sound) so it "wooshes" more when cutting the air. 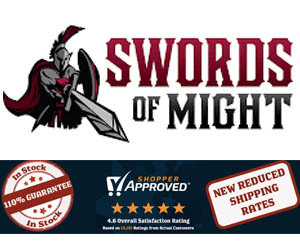 The downside is it loses just a tiny bit in the way of durability and cutting power, so if you want a power cutter - select no-hi, if you prefer a faster and more elegant sword, pick the bo-hi option. 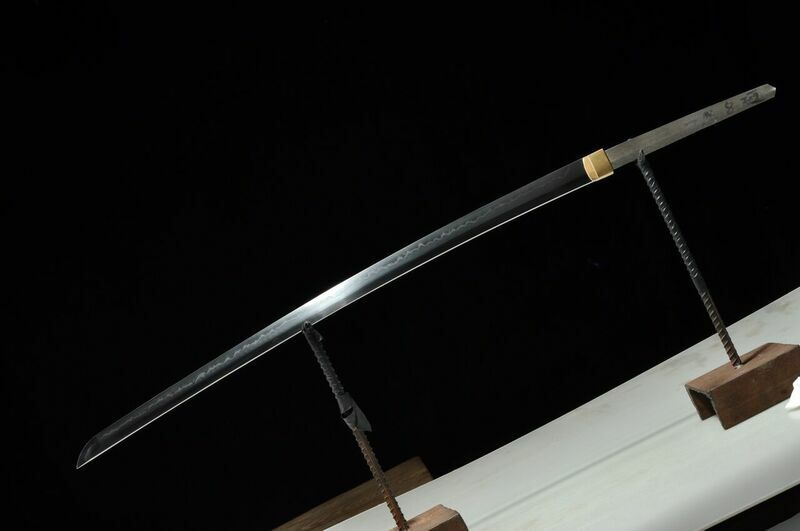 *NOTE: Not all Ryujin Custom Katana models have the No-hi/Bo-hi option available. 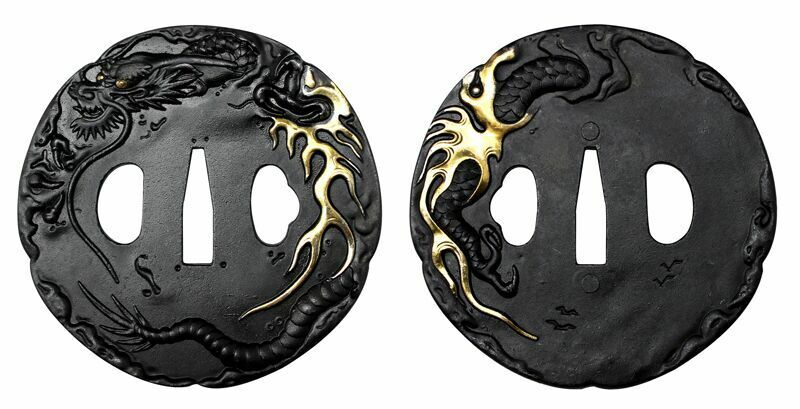 The tsuba is considered to be by many the "heart" of a katana design, and as such you should pick one that best represents the overall theme you are aiming for and select the other custom options out from this central theme accordingly. Fugaku is another word for mount Fuji "abundant mountain" and here its spirit takes form in the shape of a Dragon Kami ascending to the heavens. Symbolizes success. Myouou was the King of Wisdom, transmuting anger and fury into salvation and holds a demon subduing sword of gold. 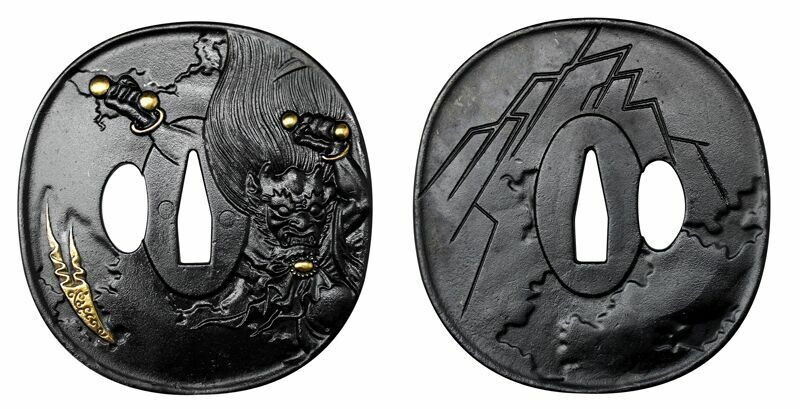 The kanji on the reverse side reads "Bright King"
Raiden is the Japanese Kami of Lightning - on on side he is seen beating a drum to summon a storm, on the other side, lightning flashes. 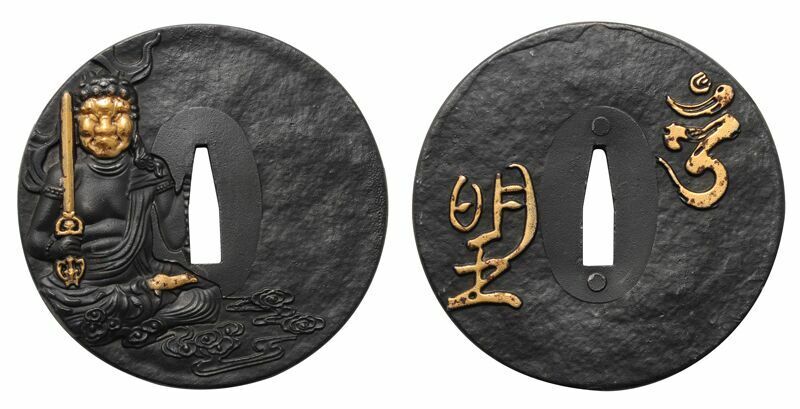 This tsuba represents speed and power. 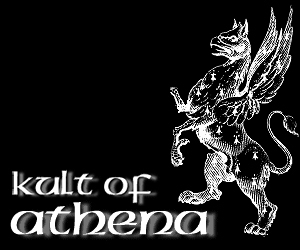 Kaitatsu means "standing sea" and combines 3 elements, the firebird phoenix, a tsumai and a wave to suggest ferocity and turbulence. 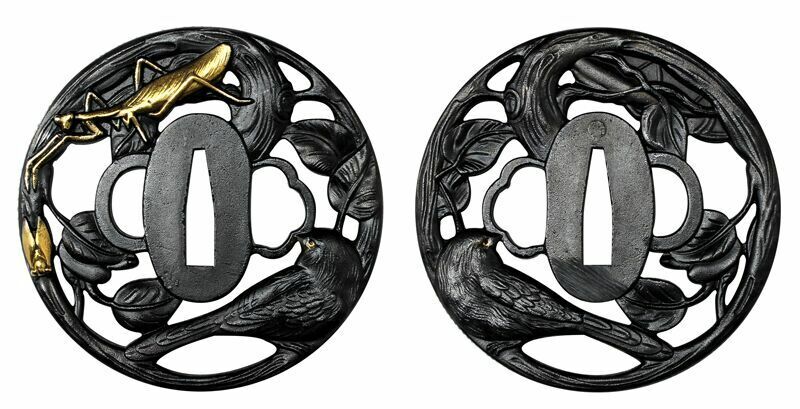 Hitaka means "Sun Hawk" - and in this tsuba design the fierce hawk is alighting on the bough of a pine tree dappled with golden sunlight. "Ryujin" means the Dragon God King, the mightiest of all Dragons. 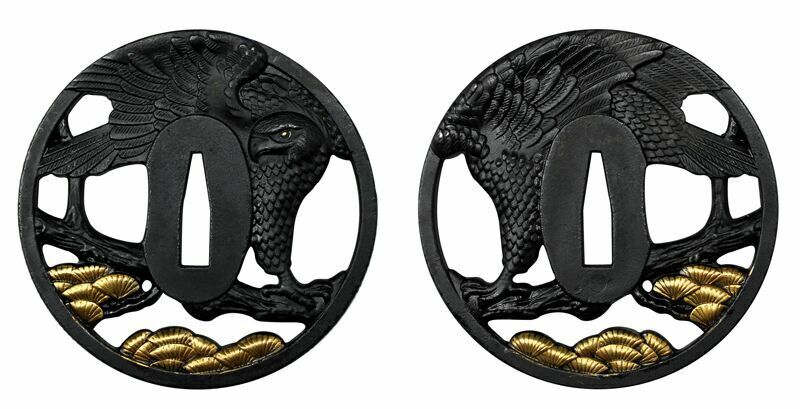 The tsuba depicts this legendary figure with a trail of golden fire billowing out behind him as he flashes across the sky. 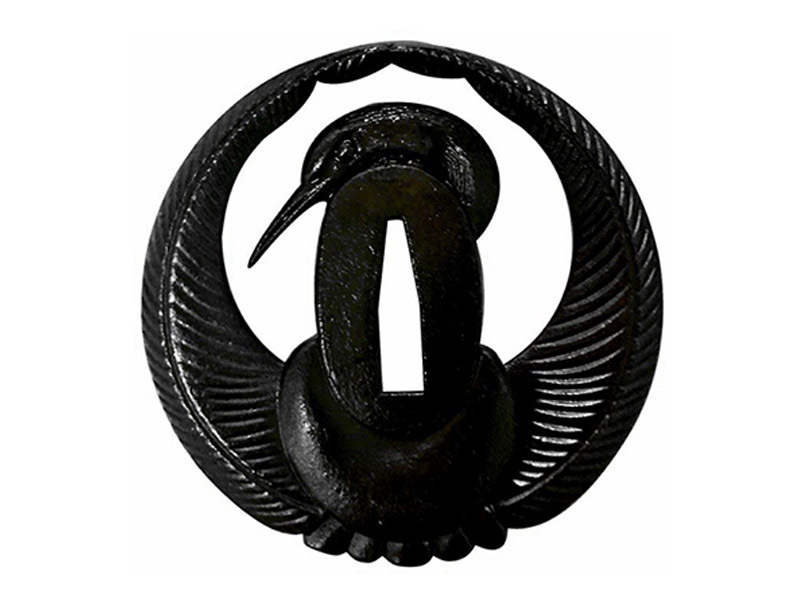 The Black Crane is another very traditional Japanese themed, simplistic tsuba that symbolizes good fortune and a long, happy life. 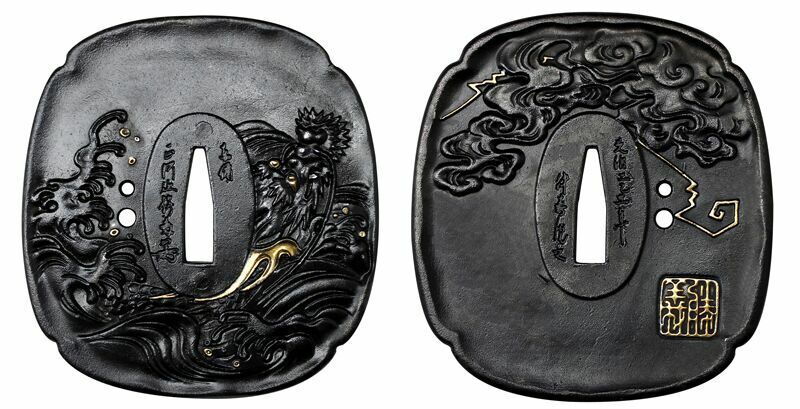 Classic Musashi Tsuba: A basic, lightweight tsuba originally designed by the legendary Ronin Miyamoto Musashi. 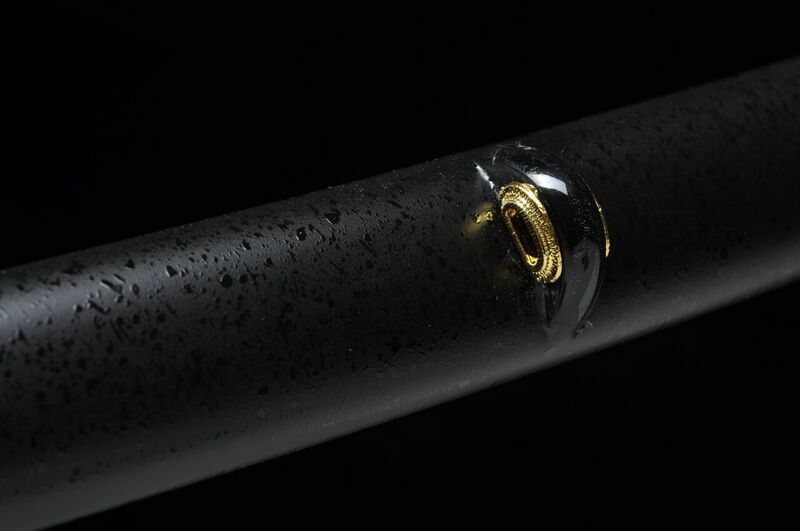 Most of the Ryujin custom katana come with a selection of 8 different tsuka (handle) ito (thread) wrap colors made from synthetic silk/rayon (the only exception is the slightly cheaper semi-custom option, which allows tsuba and saya customizations only). Generally speaking when the color option is available it is best to try and match the color of the tsuka to that of the saya in the next selection, though there are a few neutral colored saya that will work with any tsuka ito color option. The saya is the sheathe housing the sword when not in use and was typically worn with the edge facing upwards and thrust through the belt and secured in place with the sageo cord. Red Wood Finish Saya: Rich, deep red showing the woodgrain pattern. 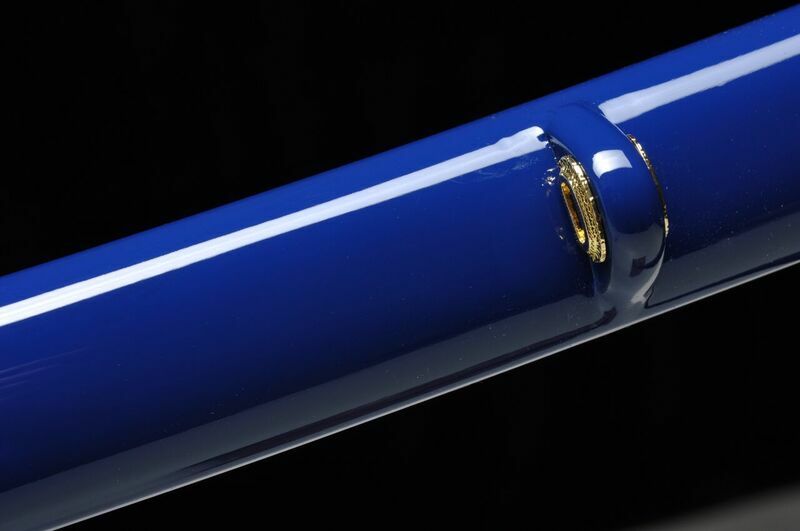 Blue Finish Saya: High gloss finished blue saya. Works well with black or blue tsuka ito color options. 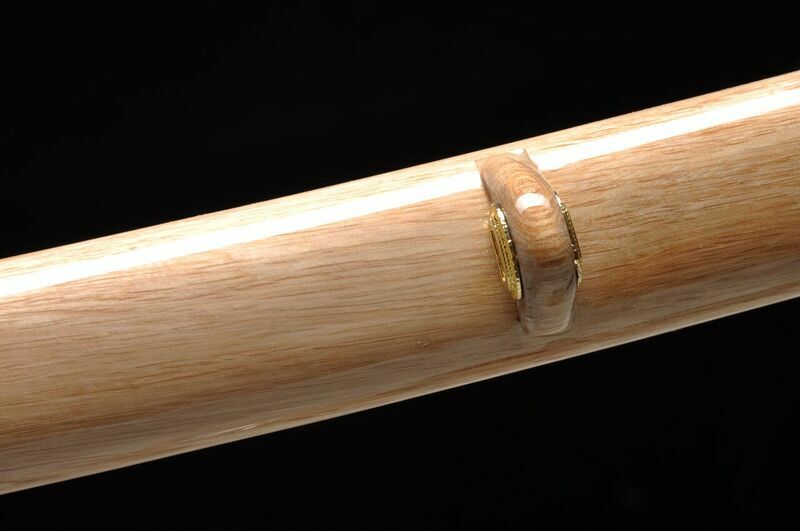 Wood Fininish Saya: A neutral style saya with simple elegance showing the wood grain and lacquered with clear sealant. Textured Black Finish Saya: Rather than a glossy finish, the surface of the saya is textured to minimize the appearance of fingerprints and scratches from rough handling. 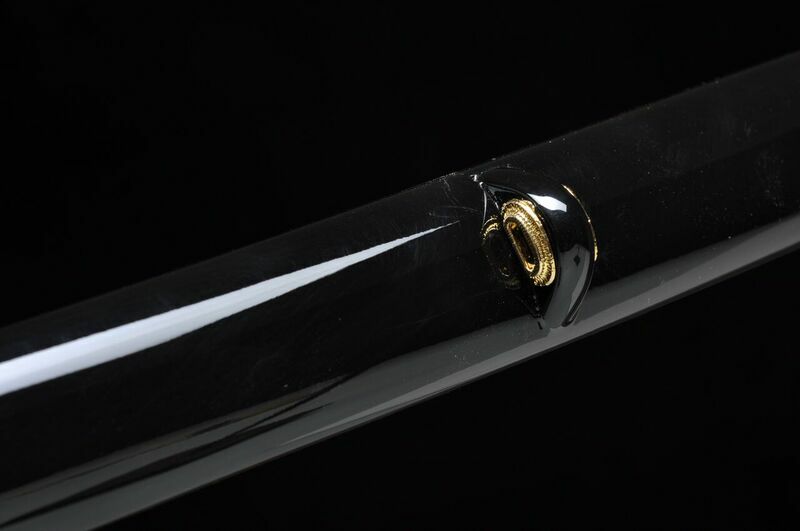 Black Glossy Saya: A standard black shellac coated high gloss saya. A neutral, common design feature. 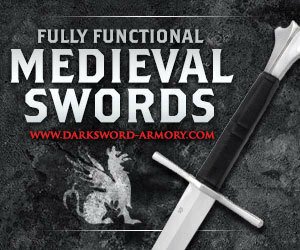 We have deliberately restricted the number of options available on our version of the Ryujin custom katana to components that we KNOW not only look good, but work well and make it hard to accidentally design an ugly looking sword. 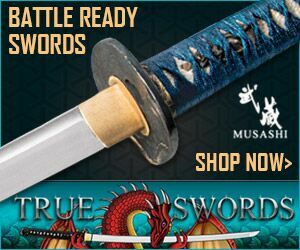 Using the Musashi tsuba on a no-hi blade tends to create a sword with forward balance, making it a slightly more powerful cutter. Try to keep colors consistent when possible. 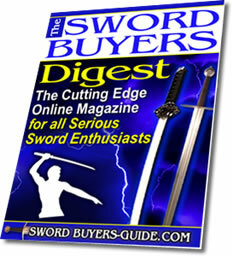 When in doubt, use a neutral saya such as the natural wood finish or a black saya. In general, bright tsuka work well with either the same colored saya (i.e. blue and blue, red and red) or with a neutral one. 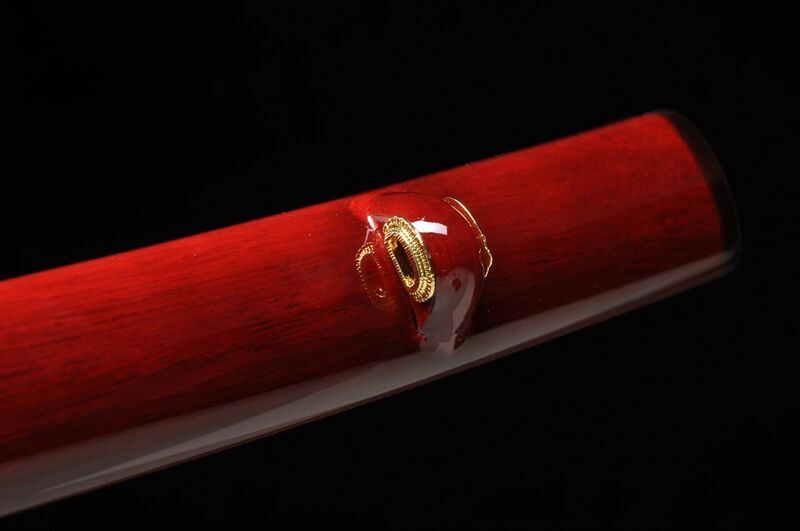 Conversely, if you pick a sparkling brown or red saya, black tsuka works a treat. 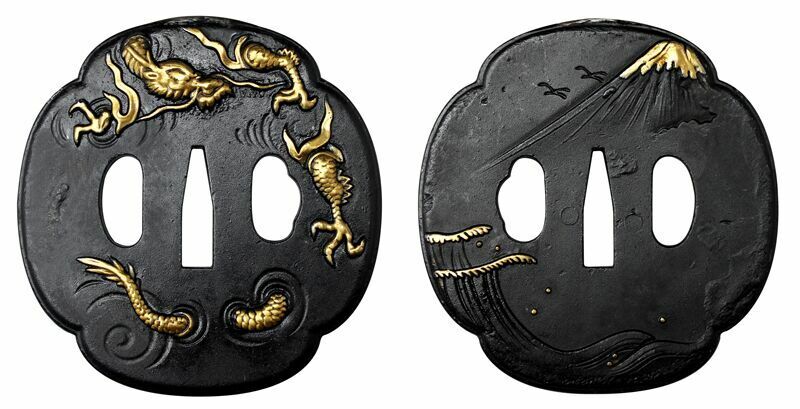 Pick the tsuba as the central theme and build the other two customizations around it. 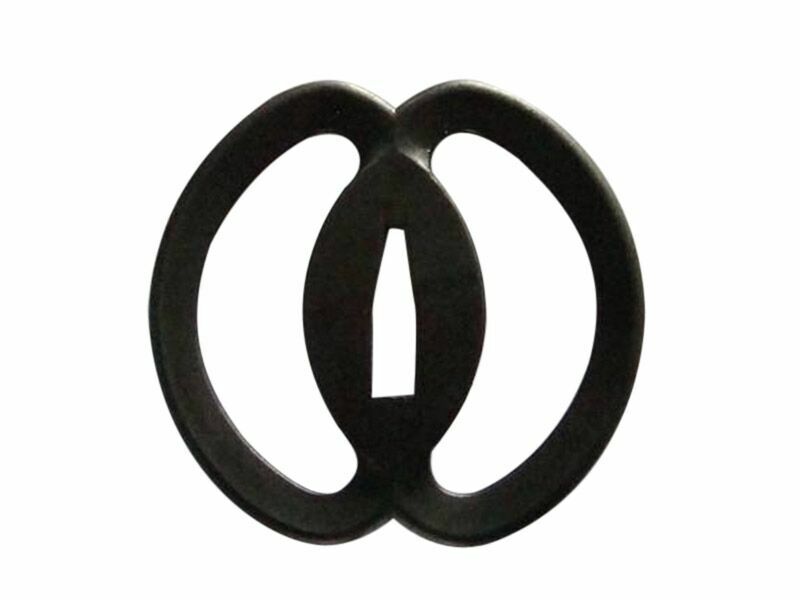 The tsuba is the 'heart' of the design. 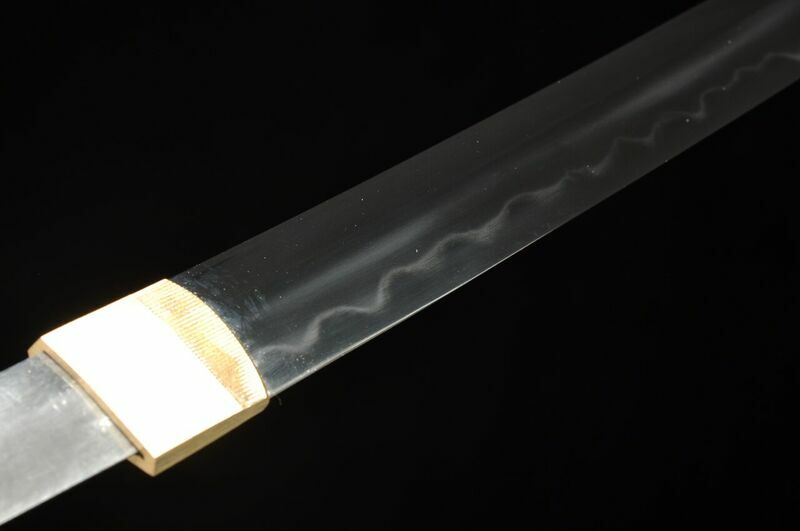 To order, please visit the Ryujin Custom Katana page in our store HERE.